Lumon's balcony facade in the new item is the pioneer's choice. The glazed balcony raises the value of the apartment, increases the willingness of the buildings in the eyes of the buyers, significantly reduces the life cycle costs of the property and brings considerable energy savings. That's why Lumon's balcony is a sure investment that will pay you back quickly. Lumon's balcony is an investment for the future. As a result of our long product development, we have developed stylish, durable and timeless products designed to work together. The modern aluminum railings and the balcony glazing integrated into them create a direction for European architecture. Lumon's balcony glazing and railings create a modern and spectacular balcony layout that gives the building a modern look. Our standard solutions bend to individual facades to suit all tastes. Get inspired by our new projects in our gallery. Good cooperation in the design phase of the project and the choice of the right product solutions will have a significant impact on the final costs of the project. Collaboration is not only economically, but also the best solution for aesthetics and functionality that appeals to all parties. Cooperation can be used to select cost-effective solutions according to the customer's wishes. All project partners always receive up-to-date and comprehensive information on different product solutions when thinking about glazing solutions. The item designed with the right products at one time releases design resources in the implementation phase. The perspective of effective installation can be taken into account when considering product solutions. This also brings cost benefits and has a positive impact on schedules. Functional and feasible glazing solutions are possible when the co-operation starts already when other balcony structures to which the balcony glazing systems are attached are defined. Take advantage of our solid expertise in balcony layout design and start designing a balcony facade with us. Our professionals are happy to help! The glazed balcony façade protects the concrete structures and thus also transfers the need for facade repairs. Especially standing, melting and freezing water consumes surfaces, which means that the unglazed balcony is typically renovated every 10 years. Higher temperatures in the open air, the protection provided by the glazing from the rain and the lower humidity inside the glazing doubles the repair interval. The glazed balcony façade needs a tougher repair every 20 years - as long as the balcony glazing is regularly serviced. The cost savings in repair costs are therefore considerable. The glazed balcony facade also supports energy-efficient thinking. Higher temperature inside the glazed balcony reduces heat loss, which in turn brings energy savings The average energy saving is 5%, which brings cost savings. 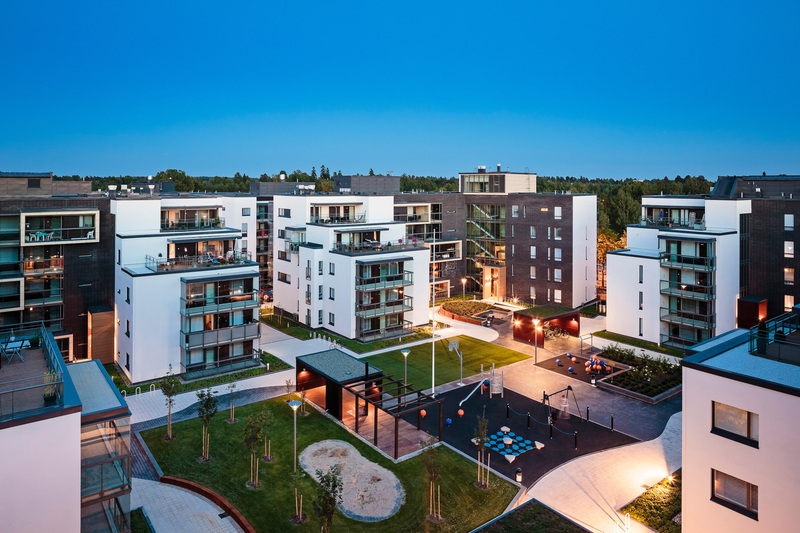 The effects of doubling the energy savings and service intervals on the balconies are clearly reflected in the life cycle cost of the property. The balcony facade is an investment that pays for itself quickly, even in ten years. Read more about energy saving and balcony balcony protection! Lumon is a reliable and safe choice for decades. We have always wanted to keep the entire product process in our hands from design and production to sales, installation and after-sales service. We take responsibility for the product throughout its life cycle. Regularly maintained, the product has a life span of about 30 years. We also have a comprehensive and professional service for our glazing. So you don't have to worry about who's servicing your balcony glazing, we do it for you with solid expertise. See what Lumon's balcony facades actually look like and what kind of solutions we have implemented in new projects.